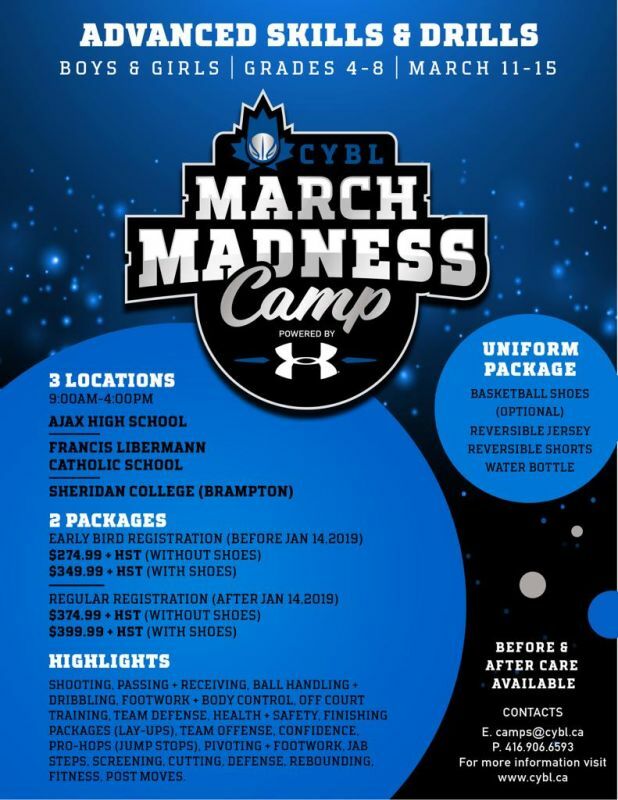 The CYBL Camps are designed to support young student-athletes (Boys & Girls Ages 9-14) in the areas of sportsmanship, character education, and skill development through fun and engaging activities. The camp enables experienced coaches from across the GTA to work intensively with campers, coaching teams, teaching basketball fundamentals, and leading skill development stations. Campers will be provided with lots of on-court instruction in a fun and competitive environment providing them with many opportunities to take their game to the next level! Interested in CYBL Rising Stars Camp?